Tributaries is a student-produced journal of creative work published at Indiana University East that offers invigorating and multifaceted fiction, nonfiction, poetry, reviews, and visual art. Our modus operandi is to do two things: Showcase the talents of writers and artists whose work feeds into a universal body of creative genius while also paying tribute to the greats who have inspired us. We accept submissions on a rolling basis and publish on an annual schedule. Each edition is edited during the academic year, which culminates with a release party in the spring. Awards are given to the best pieces submitted in the fiction, nonfiction, poetry and visual art categories. Tributaries is edited by undergraduate and graduate students at Indiana University East. Sara Baxter is a graduate student at IU East working on a MA in English with a focus on poetry and teaching. Her poems are published in Tributaries: A Journal of Creative Arts (2016) and Z Publishing’s Indiana’s Best Emerging Poets (2017). She is currently working on her first poetry collection and plans to pursue an MFA In creative writing after she graduates from IUE in May, 2019. Rowen Perkins is a Junior at IU East majoring in Fine Arts with a concentration in graphic design. She is a member of the Honors Program, a Peer Mentor, and a Writing Center Consultant. Her artwork has won first place in painting and second best in show at the Wayne County High School Art Exhibition and was included in the Whitewater Valley Art Competition. Rowen loves working with graphite, colored pencil, ink, acrylic, and oils, focusing on portraiture. Mara Cobb is a junior at IU East majoring in English, Technical, and Professional Writing. She is a member of Sigma Tau Delta. 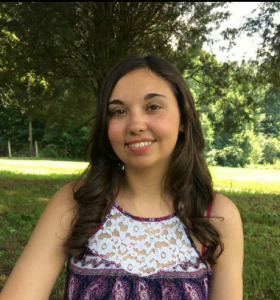 Her work has appeared in Encounter, Pockets, Devozine, and the IUE newspaper, The Howler. She also has a job working as a blog writer for a dog walking company. In her free time, Mara enjoys reading, writing fiction novels and poetry, and baking. She lives on a farm with her numerous dogs, cats, chickens, horses, and goats. Daniel is a Junior at IU East with a major in Communication Studies and a minor in Creative Writing. On campus, he is an SI Leader for various English courses. Over the summer of 2018, Daniel worked on a selection of poetry for his upcoming chapbook, “The Barn on Manning Road.” He plans to continue revising and editing these poems and eventually wants to submit them to poetry journals and magazines across the country. Grant Lawson is a Junior at Indiana University East double majoring in Accounting and English with a concentration in Creative Writing. He writes in several different genres, but he has a preference for Fiction. 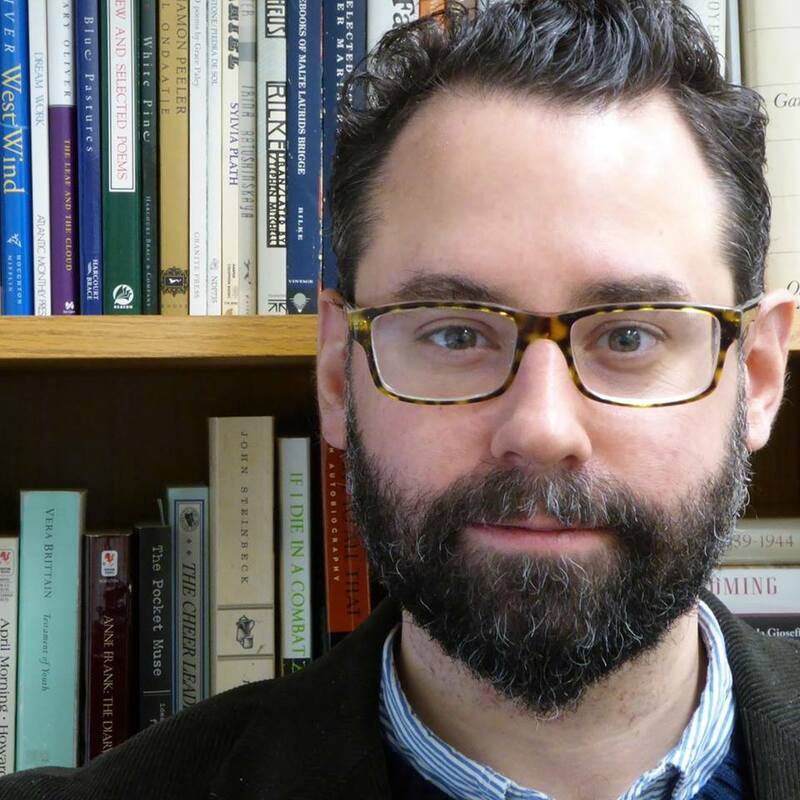 Brian Brodeur is Assistant Professor of English at Indiana University East. He is the author of the poetry collections Natural Causes (2012) and Other Latitudes (2008), as well as the poetry chapbooks Local Fauna (2015) and So the Night Cannot Go on Without Us (2007). New poems and essays have been published or are forthcoming in American Poetry Review, The Hopkins Review, Measure, River Styx, Southwest Review, and The Writer’s Chronicle. Founder and coordinator of the Veterans Writing Workshop of Richmond, Indiana, and the digital archive “How a Poem Happens,” Brian lives with his wife and daughter in the Whitewater River Valley.